Slice the chicken breast lengthwise. It should resemble the shape of a butterfly. After which, place it in a plastic wrap. Pound flat. 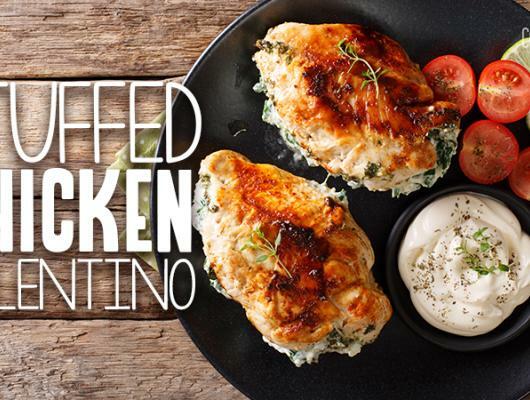 Do this with the rest of the chicken breasts. Combine the chives, Parmesan cheese, and Italian seasoning. Sprinkle the mixture over the chicken breasts. Place at least 3 strips of roasted bell pepper at one end of the chicken breast. And then, top it with the grated Parmesan cheese. Roll the chicken breast, starting on the side that has cheese and peppers. Keep it from unrolling by inserting a toothpick. Arrange in a baking pan. Season the rolls with salt and pepper. Drizzle some coconut oil to keep it from sticking to the pan. Bake each side for at least 10 minutes or until brown. 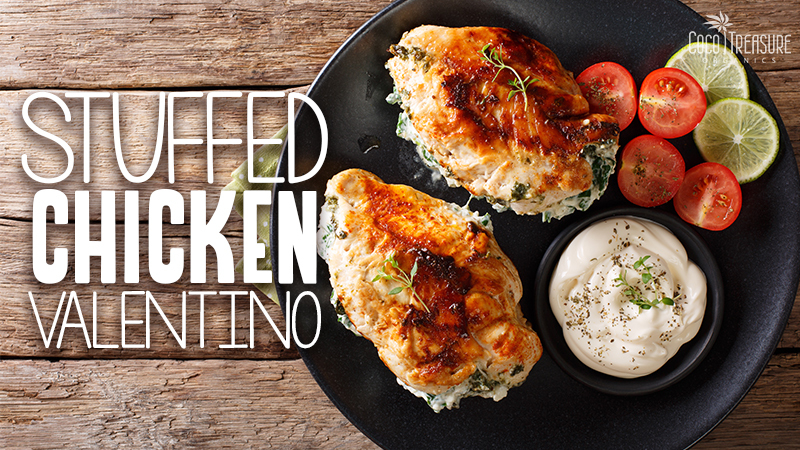 Here’s our take to the ever-popular Stuffed Chicken Valentino recipe. Cheesy, delightful, and extra special, this dish should not disappoint anyone who eats it. Don’t worry. It only takes 30 minutes to prepare. So, give it a try. Isn’t that easy? You know, this dish is best paired with our Coconut Rum drinks, especially if you plan to share it with the one you love on a special day like Valentine’s Day. Enjoy!